We Are The Top Door & Screen Door Installation Contractor in Phoenix & Gilbert, Arizona! 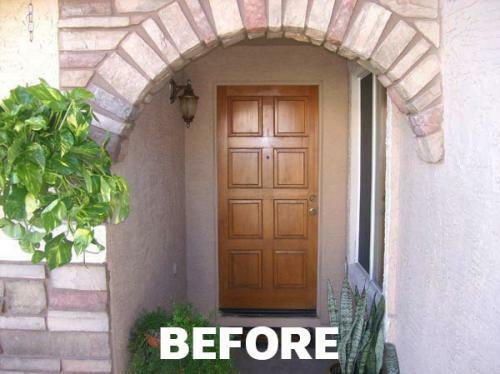 Welcome to JLC Enterprises Home Security Doors in Phoenix, AZ. 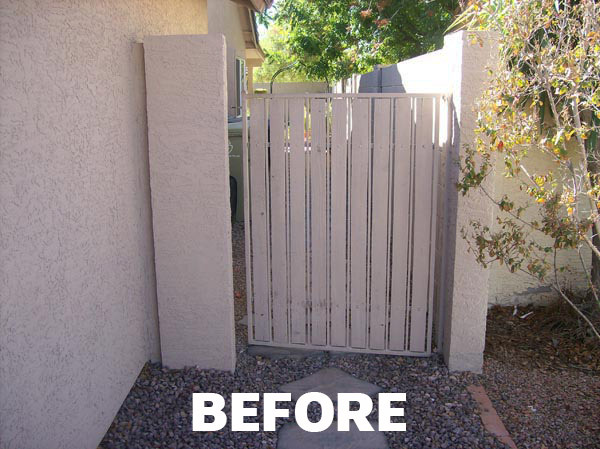 Your first line of security in Phoenix or Gilbert is the doors to your property. 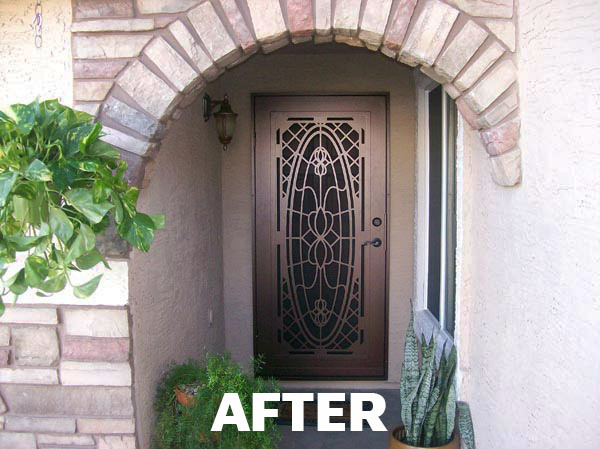 We are Phoenix’s premier custom manufacturer of residential iron entry doors, steel home security doors, and steel security screen doors. 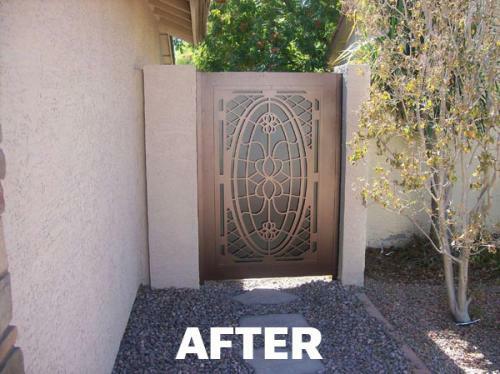 We also install metal security doors & gates, window guards, sun screens and steel entry way enclosures. Our skilled security door contractors have been manufacturing and installing custom steel security screen doors in Phoenix & Gilbert, AZ for over 30 years. We offer a range of semi-custom to fully custom security doors and gate installations. We provide the highest quality selections of steel home security screen doors. We are also offer customized doors and products to suit your home’s needs. Every security door and gate is measured and built to fit your home perfectly and is fabricated from heavy 16 gauge steel and mounted in a solid steel frame for a lifetime of beauty and security. Our residential security door pricing includes oversized doors at no extra cost to the homeowner. We offer competitive security door pricing so, if you already received a quote from another home security door contractor, let us know. We may be able match or even beat their price. So, don’t just settle for lesser quality substitutes, instead put a steel security shield between the ones you love the most and the ones you don’t. We proudly offer Door Replacement and Installation Services in Phoenix, Mesa, Chandler, Gilbert, Scottsdale, Tempe, Queen Creek, Paradise Valley, Fountain Hills, Ahwatukee, & Sun Lakes. Contact us today for a free quote.